The New York Giants lost their opening game of the 2018 season by falling 20-15 to the Jacksonville Jaguars at MetLife Stadium on Sunday. It was a tightly-fought and winnable game for New York, but too many mistakes on offense and special teams did the team in. The Jaguars received the ball to start the game and went up 3-0 after an 11-play, 59-yard drive set up a successful 39-yard field goal. New York’s opening offensive possession almost ended in disaster with a safety as the team found itself in a 3rd-and-23 situation from its own 1-yard line. 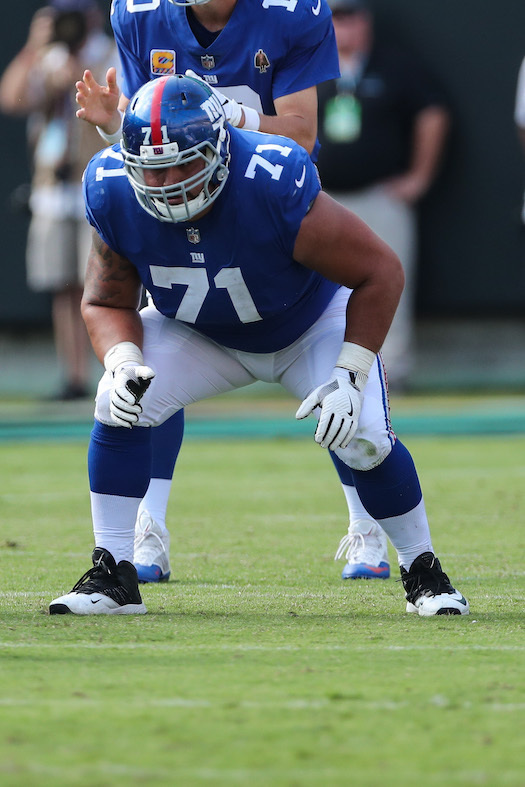 Two penalties on right tackle Ereck Flowers, including a holding penalty that wiped out a 34-yard completion to tight end Evan Engram, pushed the Giants back. After the Giants punted, New York quickly got the ball back. Defensive end Kerry Wynn and linebacker Kareem Martin sacked quarterback Blake Bortles for an 8-yard loss. Then Janoris Jenkins picked off Bortles at the Giants 37-yard line. 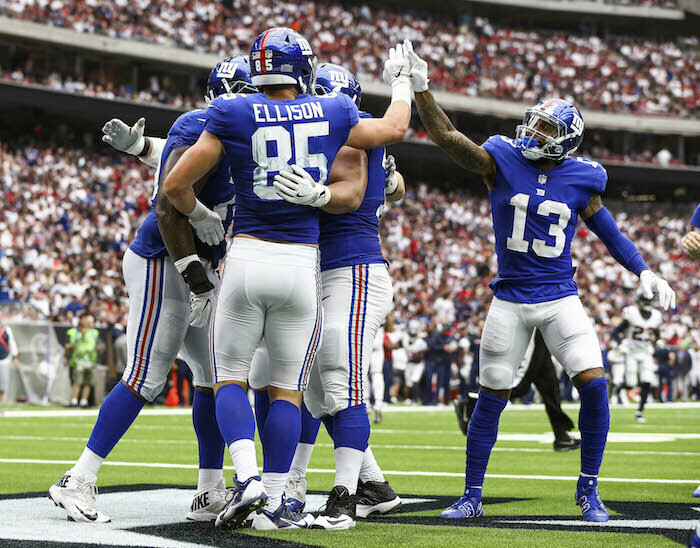 Sparked by a 10-yard run by running back Saquon Barkley and a 24-yard pass to wideout Odell Beckham, the Giants managed to move the ball 54 yards in nine plays to set up a 27-yard field goal. Unfortunately, the Giants couldn’t score a touchdown after setting up a 1st-and-goal from the 8-yard line. The Jaguars retook the lead 6-3 on their ensuing possession in the 2nd quarter by driving 54 yards in 15 plays to set up a 39-yard field goal. After a three-and-out by the Giants, Jacksonville added to their advantage with a 5-play, 57-yard drive that culminated with a 1-yard touchdown pass from Bortles to running back T.J. Yeldon, beating safety Landon Collins in coverage. The Jaguars now led 13-3. 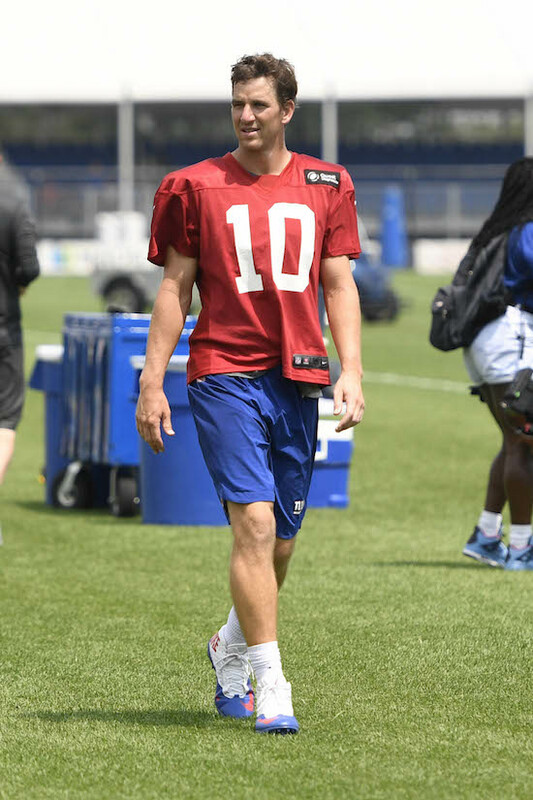 Quarterback Eli Manning and the Giants’ offense put together a 10-play, 62-yard drive right before halftime to set up another field goal by place kicker Aldrick Rosas, this one from 31 out with just seconds left on the clock. The Giants overcame a sack and a 3rd-and-12 situation with a 16-yard pass to wide receiver Sterling Shepard. 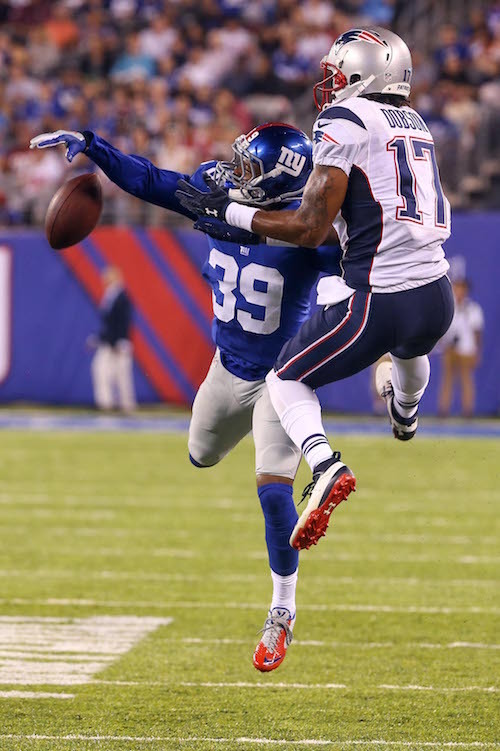 Beckham drew two pass interference penalties that picked up a total of 45 yards, but the Giants were stopped inside the red zone again. At the half, the Jaguars led 13-6. The Giants received the ball to start the second half and immediately cut into Jacksonville’s lead with an 11-play, 49-yard drive that set up a 44-yard field goal by Rosas. Neither team could move the ball the remainder of 3rd and beginning of the 4th quarters. After a three-and-out by the Jaguars, Barkley was stuffed on a 4th-and-2 effort from the Jacksonville 38-yard line as New York turned the ball over on downs. Then came five consecutive punts. The game-changer came with just under 12 minutes left to play. Facing a 2nd-and-7 from their own 30-yard line, Manning was under immediately pressure as Flowers could not handle the outside rush. Right guard Patrick Omameh’s opponent then tipped Manning’s pass that was intercepted and returned for a 32-yard touchdown by linebacker Myles Jack. The Jaguars were now up 20-9. 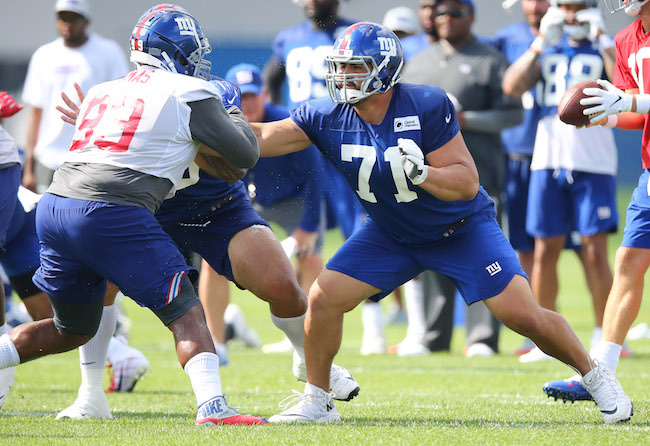 However, just as it looked liked the game was all but over, Barkley broke off a spectacular 68-yard touchdown run, breaking three tackles in the process (and with an excellent downfield block by Sterling Shepard). The 2-point conversion attempt failed and the Giants now trailed 20-15 with just over 10 minutes left to play. Frustratingly, the Giants could get no closer. 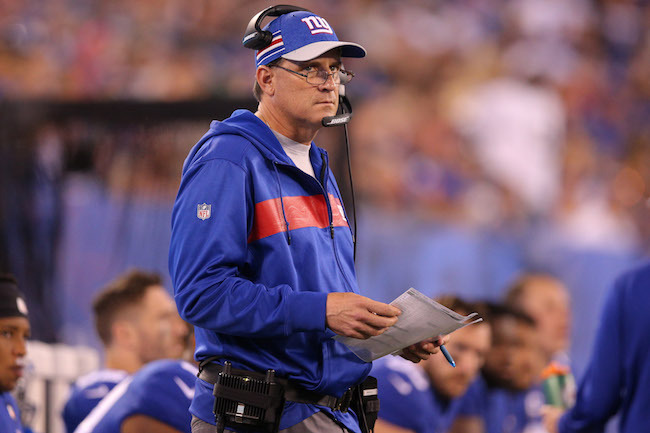 The defense forced a three-and-out, but the Giants’ offense also then went three-and-out. The Jaguars picked up one first down and then punted again with just over four minutes to play. The Giants picked up two first downs and moved the ball to the Jacksonville 36-yard line, but then turned the ball over on downs with two incomplete passes on 3rd- and 4th-and-6. 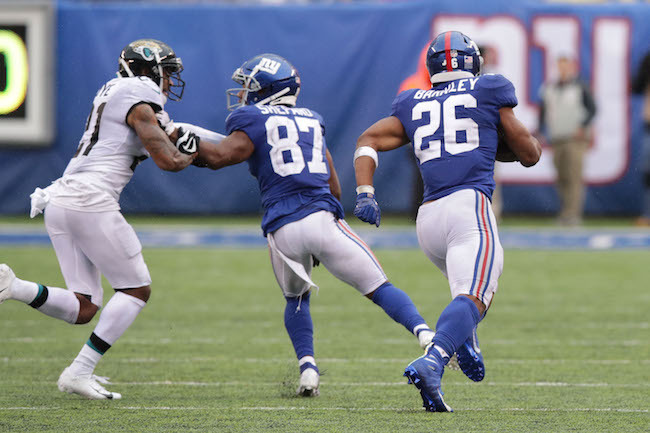 After another three-and-out by the Jaguars, it appeared the Giants would get one more desperate chance to win the game with 45 seconds left, but punt returner Kaelin Clay muffed the punt and Jacksonville recovered to secure the win. 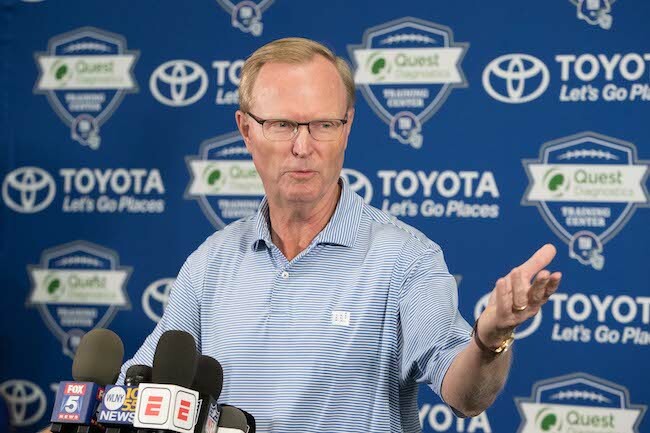 Offensively, the Giants were limited to 15 first downs and 324 total yards. Manning finished the game 23-of-37 for 224 yards, no touchdowns, and one interception that was returned for a touchdown. He was sacked twice and hit six times. His leading target was Beckham who caught 11 of 15 passes thrown in his direction for 111 yards (and 45 yards of pass interference penalties). Barkley rushed 18 times for 106 yards, but the bulk of that came on the 68-yard touchdown run. 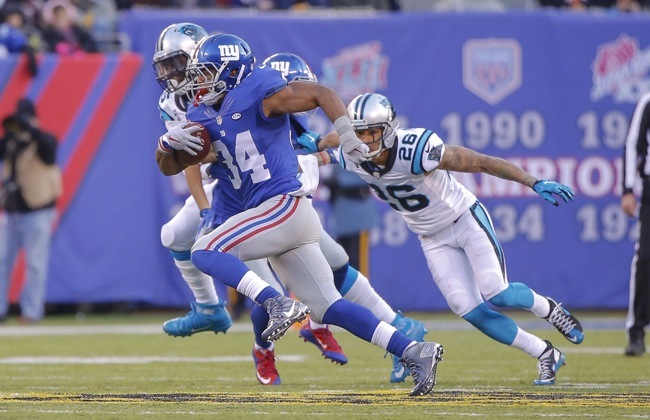 Defensively, the Giants held Jacksonville to 17 first downs and 305 total yards. The Giants only picked up one sack and hit Bortles four times. Jenkins defensed two passes and picked off Bortles. 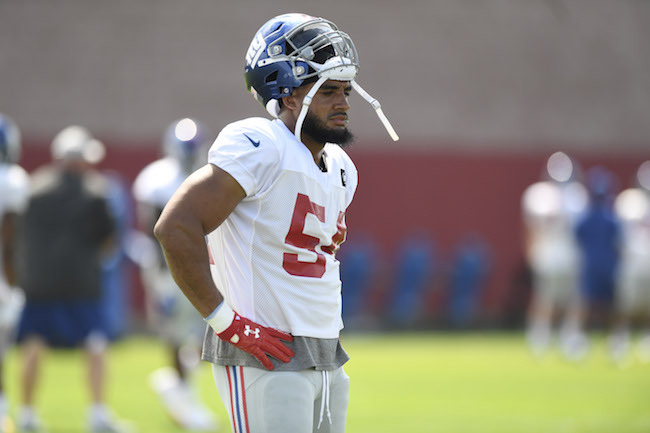 Inactive for the New York Giants were linebacker Olivier Vernon (ankle), linebacker Tae Davis (hamstring), quarterback Kyle Lauletta, center Evan Brown, center/guard Spencer Pulley, cornerback Michael Jordan, and safety Kamrin Moore. Running back Wayne Gallman left the game with a knee injury, but said he was fine after the game.